Visit the 21st Century School Buildings Plan website for project updates. This 135,896 sq. ft. renovation with addition project is scheduled for substantial completion in the summer of 2018 and opening for students in September 2018. 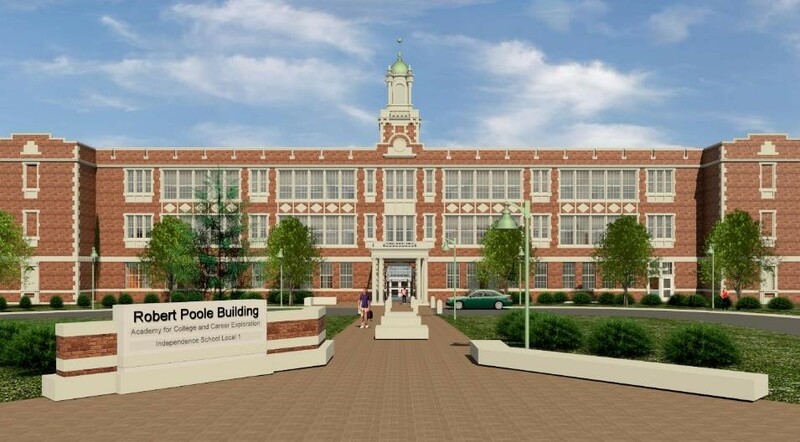 The Poole Building will house two school programs, the Academy for College and Career Exploration (ACCE) and Independence School Local 1 High (Independence). ACCE serves grades 6-12 and is currently in temporary swing space at the Lake Clifton Building. Independence serves grades 9-12 and is currently in swing space at the Lemmel Building.